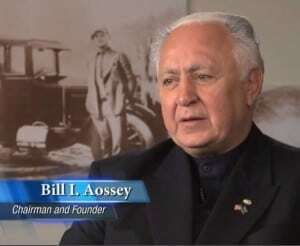 Federal prosecutors are asking a judge to increase possible prison time for convicted Midamar founder William Aossey Jr., based on a presentencing report that recommends the bump due to the amount of loss, number of victims and Aossey’s role in the halal beef exporting scheme. The sentencing document doesn’t state what the guideline sentencing range would be for Aossey, 73, of Cedar Rapids, with the offense level increases for the 15 charges he was convicted of last July. However, the document shows the prosecutors are asking for Aossey to pay $16,824 to the government for prosecution costs, which is allowed and at the discretion of the judge, and forfeiture of $184,984, which is proceeds from the wire fraud, as well as a “substantial” fine, based on Aossey’s ability to pay. A jury found Aossey guilty of one count of conspiracy to make false statements, sell misbranded meat and commit mail and wire fraud; seven counts of making or causing false statements to be made on export applications; and seven counts of wire fraud. The jury acquitted him of four money laundering charges. Assistant U.S. Attorney Richard Murphy said after the conviction that the guideline range would be eight to 10 years or possibly more in prison. Murphy in a sentencing document states the presentencing report correctly recommends a 14-level increase in the offense level based on the loss amount of $740,213, which was paid to Midamar for 22 shipments going to Malaysia and Indonesia that contained meat products from a slaughter facility not approved by those countries. The report also recommends more penalty for the number of victims affected, but Murphy admits it’s difficult to quantify those because a U.S. Attorney’s Office press release informing any victims they had the right to submit a statement hadn’t been published by any area media. The office is continuing to attempt to identify any victims. Based on the conduct and fraud involved the number of victims would be more than 10, Murphy said. A representative from a Muslim consumer group told prosecutors that Muslim consumers would consider this a serious matter and would expect and depend upon the packaging or labeling information from Midamar and Islamic Services of America, who certifies halal products for Midamar. The court could consider Aossey’s conduct adversely affected a large number of Muslim consumers when determining sentence. Murphy points out in the document that Aossey testified at trial he “requested and instructed” Midamar employees to re-box, re-label and ship beef to Malaysia. The labels were changed from the slaughter facility that was Midamar’s supplier, which wasn’t approved, to another facility, which was approved but not Midamar’s supplier. Murphy states in the sentencing document that the illegal misbranding continued over two years and when the second shipment to Malaysia was found to contain 31 cases of beef that hadn’t been relabeled, by mistake, Aossey assured the customers that Midamar hadn’t intentionally sent meat from the unapproved slaughter facility. Midamar then, under Aossey’s direction, sent 20 more shipments to Malaysia and Indonesia, Murphy added. Haytham Faraj, Aossey’s Chicago lawyer, in his sentencing document asks the court for no prison time based on the nature and circumstances of the offense and Aossey’s personal history of helping the community as well as establishing and growing the business. He suggests the court could impose a sentence of credit for time served and probation or supervised release. Faraj also argues the court should go below the guideline range, meaning a lesser penalty, because the public wasn’t harmed by Aossey’s conduct. The only “arguable” victims in this case reside in foreign countries and Aossey isn’t a supervisor or employed by Midamar any longer. He also pointed out that no victims have been identified.